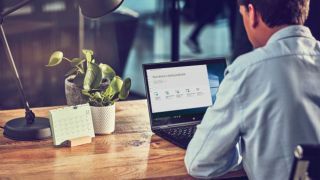 Microsoft has unleashed a new preview build for Windows 10 which contains a number of fresh additions, including a raft of improvements for Sets and a tweaked Windows Calculator. This is build 17639 for Windows Insiders on the ‘skip ahead’ program – in other words, those testing changes for the major update that follows the one due to deploy this month – and most of the tweaks revolve around Microsoft’s big new idea of Sets. Sets (introduced in build 17618) brings the concept of tabs from the web browser to the wider Windows 10 interface, allowing the user to have multiple apps open in different tabs on a single window. With this new build, it’s now possible to drag tabs around within a window, or across to a different window (with one exception – dropping an Edge tab into a Sets window may cause a crash at this time). You can also use Alt+Tab to cycle between tabs in a Sets window. Windows 10 now has Settings for Sets (which you’ll find in Settings > System > Multitasking), and you can tweak how Alt+Tab works with Sets under here. Microsoft has tweaked the file menu to add an option to open new Sets tabs quickly and easily, and the ‘open in new tab’ function has also been added to the context menu that comes up when you right click on a folder. And finally, alongside various other minor tweaks and adjustments, there’s also a new context menu for when you right-click on a tab itself in a Sets window, which allows you to pull off tricks like closing all tabs, or closing tabs to the right of the current tab. Build 17639 also tweaks the Windows Calculator so that it correctly calculates square roots for perfect squares. Furthermore, under Settings for Bluetooth & Other Devices, the battery level of Bluetooth-connected devices is now displayed as a percentage (assuming the hardware in question supports this feature). And there are a whole load of miscellaneous fixes listed at the end of the blog post as usual, including removing the Display Brightness slider from some parts of Windows 10 as it was overused, and in Microsoft’s words, “sometimes having too many choices can be confusing and less is more”. So, it has been ditched from some sections of the UI, but you’ll still find this slider under Settings > System > Display, as well as in the Action Center, and you can also change the brightness of your display using shortcut keys.